You can’t escape all toxins, but you can certainly minimize your exposure to them. A handy way to classify them involves reminding you of the organ systems that help us detoxify and how, over time, toxins fight and sometimes win the battle against our defenses. In the interest of space, I’m going to give you the names of several chemicals that you may want to know about and should be wary of using, without giving you details on their individual effects. If you have questions about any of them specifically, call me at 1-844-SMA-TALK. 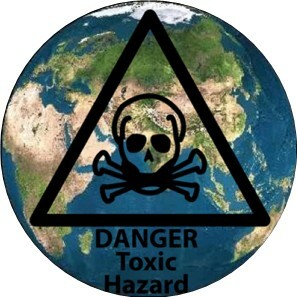 The toxins: We are fighting what we breathe and inhale. Air pollution includes levels of carbon monoxide and methane. Exhaust fumes, factory emissions, first and second-hand smoke all contain substances damaging to our lungs. Did someone mention cigarettes? Tobacco smoke has been fascinating to me. The idea that we would introduce smoke into the very area we use to deliver oxygen to our entire body is one of the most curious actions of humans. Look at this diagram of the toxins found in cigarettes. The effects: The lungs are impressively effective at handling toxins up to a certain point and up to a certain age (approximately 35 years old). At that point what had been reversible airway damage begins to not only change the structure of lung tissue, but it results in lung tissue loss that does not get repaired. It’s as if when you run your hands through your hair, you discover that you’re pulling out large clumps of it. Of course, the problem is that this isn’t your hair, but the lung tissue that you need to breathe. The list of diseases contributed to, exacerbated by or caused by toxins is long, including COPD (emphysema, chronic bronchitis), asthma exacerbations, asbestos and lung cancer. The toxins: Do you trust your skin products – you know, mascara, styling gel, tanning oil, soaps and body washes, shampoos, hair sprays, shaving creams, cologne and lotions, just to name a few? Toxic chemicals you’re commonly absorbing through your skin include propylene glycol, parabens, glycerin, triethanolamine and sodium lauryl sulfate. The effects: You thought acne and the occasional allergic reaction were bad? This group’s collective effects includes respiratory, immune system and skin toxicants and known throat carcinogens. I’d suggest you become more conscious of what you’re using and seek organic options when available. The toxins: The water we drink seems to get worse with time. Does anyone remember when tap water was “just fine?” Now our drinking water is liable to contain ammonia, chlorine, bleach and other toxic substances. An entire movie (Erin Brockovich) was made over the issue of toxins in drinking water. You may recall that the kidneys bear the burden of the actual elimination of urine. They need to maintain excellent health to perform this function. The effects: The consequences of the kidney’s inability to perform can be so dramatic that dialysis (which is basically manual, external filtering of your blood once the kidneys go into failure) becomes necessary. Prior to that, toxins “gumming up” the kidneys can be left free to create havoc in other parts of the body. The toxins: The food you eat is toxic. To be clear, usually I’m asking you to eat healthily. Today, that’s still true, but it’s not the only issue. I’m pointing out that your food contains actual toxins, including food additives and dyes, pesticides on your non-organic fruits, aspartame, MSG, hormones, high fructose corn syrup, sugar, mercury, bisphenols, and alcohol. Did someone mention alcohol? Alcohol is directly toxic to the liver. The effects: I’m just going to focus on the alcohol. Alcohol produces conditions known as fatty liver, alcoholic hepatitis and cirrhosis. Chronic, excessive alcohol use is the single most important cause of illness and death from liver disease in the U.S. Moderation or abstention is the order of the day, my friends. Liver transplants are very hard to come by. The purpose of this is not to paralyze you into inactivity but to stimulate you into action. Between now and tomorrow, when you read the fourth post in this toxins series, I’d suggest you review this post about natural detoxification. Compare that to some of the other options I’ll be discussing later. I’d recommend an ounce of prevention.